Aust. Ch. Fireax Exclusive Reveal "Penny"
All our dogs have been cleared for the testable common genetic diseases. ​For further information please visit pups available page! We also have available two older pups and one older dog to an appropriate approved home. ​For further information please visit older dogs/pups available page. If you have young children! 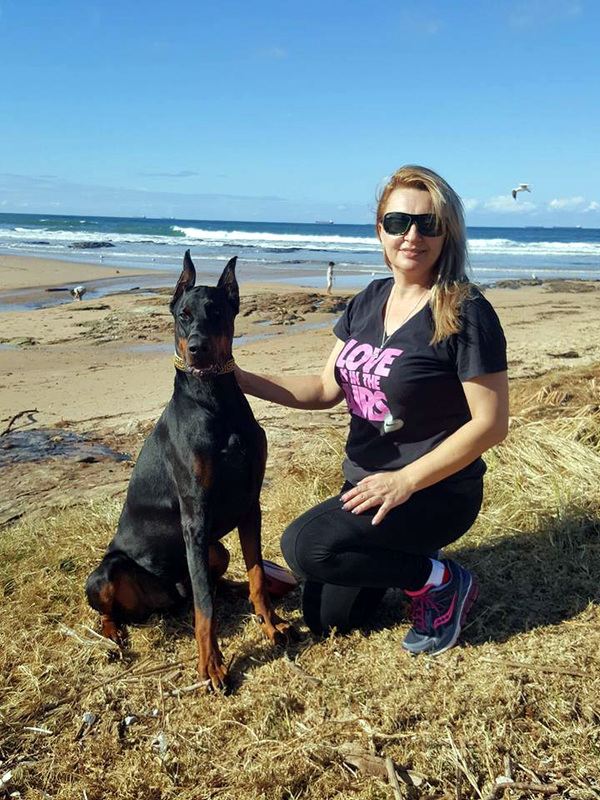 Dobermann is the right breed of dog for you! Please click on the below. Is a Dobermann a suitable breed of dog for you and your family? We are also expecting an exciting litter for 2018! Pups due to be born early February 2018 and will be available to their new homes Late March to early April 2018. Early reservations advised.